Many homes in and around West Michigan have flush doors. Although this type of door is functional, they don’t add much to the overall décor or feel of your home. When the time comes to replace one or more doors in the home, consider investing in panel doors. Whether they’re building new or replacing existing doors, many of our customers choose to make a statement when choosing panel doors. What is a panel door and what are the benefits of upgrading to this type of architectural feature? Let’s talk about it! Certain doors feature horizontal rails and vertical stiles and these are referred to as panel doors. The rails and stiles frame wood panels, either flat or raised. These frames will sometimes integrate decorative glass panes. This type of door is most authentically seen in older homes. The beautiful wood paneling and strength of a solid-wood door construction has a rich feel and is far more durable. 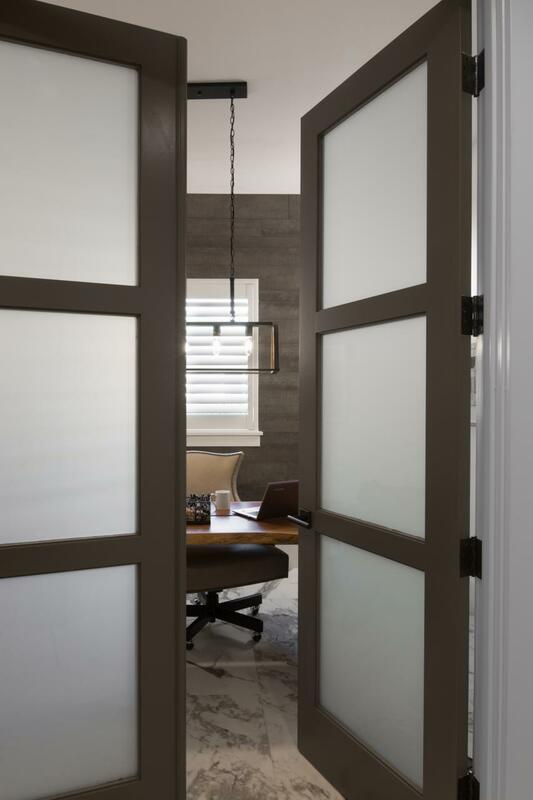 Solid-wood doors without panel construction are prone to shrink, swell, or warp with time, especially in areas of high humidity or with frequent fluctuations in the humidity level. The rail and stile construction helps to minimize the risk of swelling, warping, or shrinkage. Panel doors with glass panels offer to allow more light into an area of your home and provide an open feel. There are so many styles of panel doors to choose from, and as with anything of quality, the return on your investment will be experienced over time. We recommend talking through your ideas and goals with one of our Door Consultants. They can accurately measure your openings, help you explore design choices, and walk you through every step of the process. When you select solid-wood panel doors, you’ll discover you have numerous options when it comes to finishing the door. Some elect to stain the door to highlight or enhance the beauty of the wood. Others prefer to paint the door to complement the overall color scheme of the room. This is why doors of this type tend to be sold unfinished and must either be painted or stained to offer the desired level of protection. However, most door manufacturers have tons of finish options straight from the factory. We’ll talk through your desired finish options and can provide you with either finished or unfinished options, your call. When purchasing panel doors, be sure to ask about additional features that you might want. Soundproof doors may be needed for a bedroom or theater or a person may wish to have a fireproof door in one or more areas of the home. We have any specialty doors you might want, so be sure to ask about all features and options. 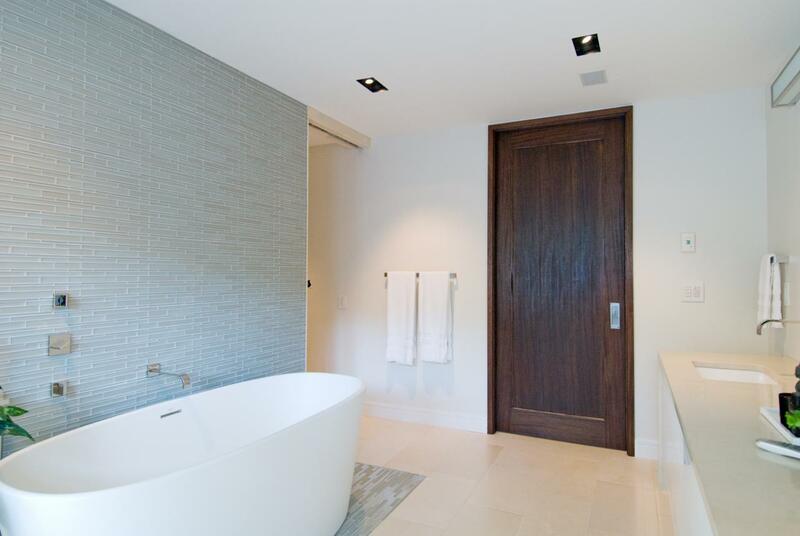 Architectural Openings and Access carries panel, glass, specialty and modern doors. Each of these options enhances the openings and environment in your home. We are here to help you achieve an amazing home – and awesome panel doors. Simply tell us what you are looking for and we’ll connect you with a consultant who will work with you to turn your vision into reality. From the door to the finish and the hardware, we are ready to assist you in transforming your house into the perfect home.